My Collaborators is a personal view of the people with whom you share workspace membership. It is located on the right side of your My Dashboard page below Workspace Shortcuts. 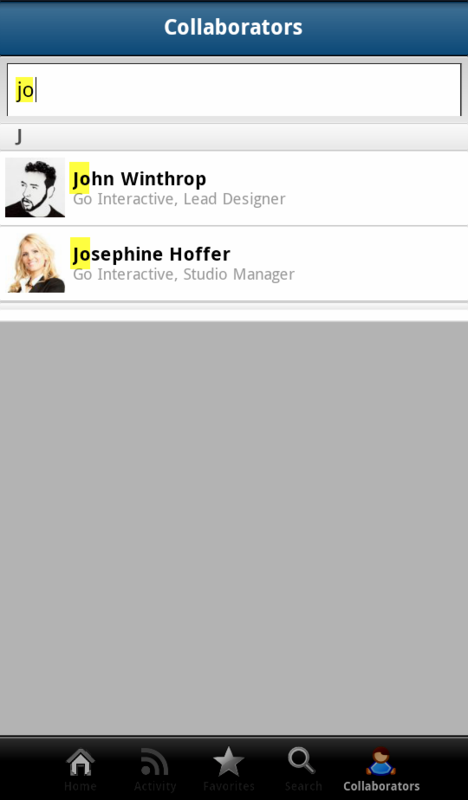 Use this feature to view your fellow collaborator's contact information, calendar, and status updates by clicking the user's profile picture or hovering your cursor over it. CD for Mobile has optimized the My Collaborators search so that you can quickly browse for your team members on a mobile device. 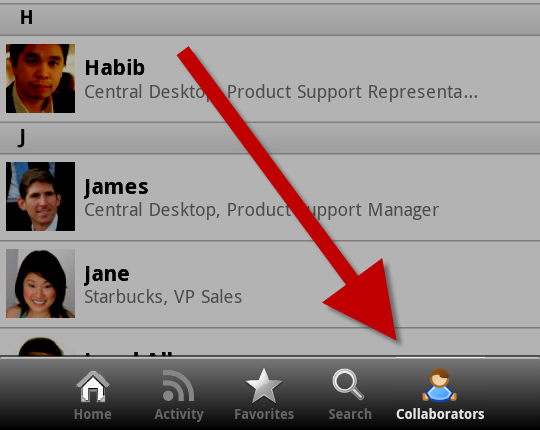 To search for your collaborators in CD for Mobile, log in to iMeet® Central using a mobile device and tap Collaborators.